We discuss the the Friend of a Friend program, which was established by the American Friends Service Committee as a mentoring project in Maryland correctional institutions. Its goal is to reduce institutional violence by providing tools that build healthy relationships, create support structures, and develop effective communication skills. We discuss the the Friend of a Friend program, which was established by the American Friends Service Committee as a mentoring project in Maryland correctional institutions. Its goal is to reduce institutional violence by providing tools that build healthy relationships, create support structures, and develop effective communication skills. But the program has been suspended at the Roxbury Correctional Institution in Hagerstown. We’ll speak with Dominque Stevenson, Program Director for the American Friends Service Friends, the organization that operates the program, former program participant Wahid Shakur, and Bashi Rose, an O.S.I. fellow who facilitates the D.R.A.M.A. 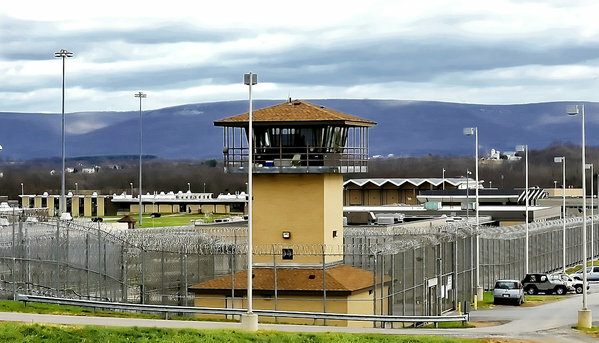 Program (Direct Responses Alleviate Misguided Aggression) at the Maryland Correctional Training Center in Hagerstown.